Did you know that a low credit score can cost you more than $5,000 in finance charges on a five-year car loan? That number may seem high, but it is accurate and only 20 percent of Americans answered this question correctly in a recent survey. Having a good credit score is very important because lenders use it to determine the terms on your loans. Even cell phone companies rely on credit scores to qualify you for a cheaper plan. Americans have a lot to learn about credit. Payment history: Paying your bills on time has the greatest impact on your credit score. Amounts owed: How much you owe and how much credit you have available make up a significant portion of your credit score. It is important to maintain a good ratio of the amount of credit you have used versus the amount you have available – your overall credit lines and credit limits. New credit: Some people try to open a number of accounts at the same time, and this can result in a negative ding on your credit score. Try not to overextend yourself financially when you’re establishing credit. Build up your credit score over time. Don’t try to do it all at once. 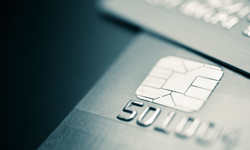 There’s no better way to establish credit than by getting a secured credit card. OneUnited Bank offers the UNITY Visa card, which helps you establish credit while building savings. Having a card like this is definitely the way to go because your payments are reported to the three major credit bureaus. This means that whenever you make a payment on time, the credit bureaus receive notification of this and your credit score can improve. I am currently from and living in Albany, NY and I would love to bank black and build up my credit to purchase a home. I hv 2 daughters in college. So, how do I qualify living in Albany NY? I opened my account a month ago and love it. The customer service representatives are so friendly and nice, I will be with this bank for ever. Thanks One United for giving me a chance.